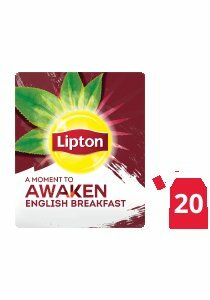 Lipton English Breakfast Tea is a full-bodied English Breakfast tea - savoured by generations before us. What a way to wake up your guests! The tea bags are packaged in envelopes, so you get the same crisp taste and aroma - from the first tea bag and the last. Serve with a macaroon, small brownie or a date.